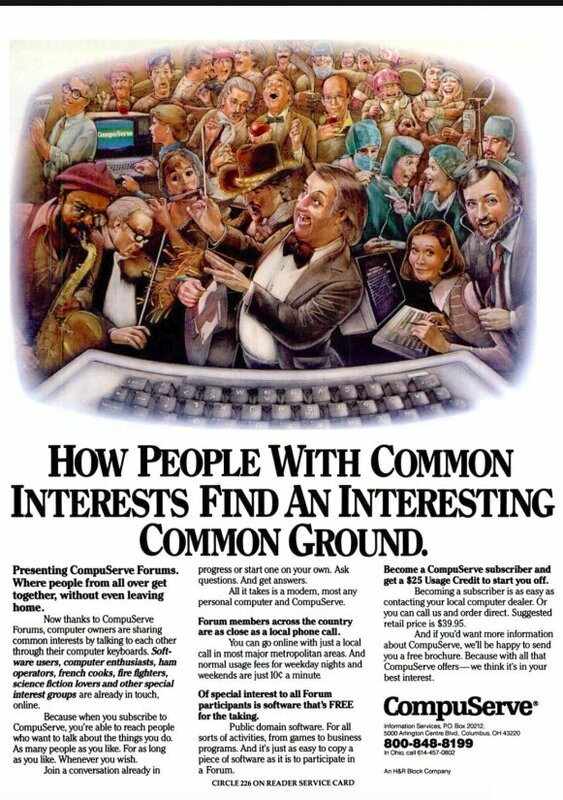 Compuserve's sprawling, paleolithic forums were acquired along with Compuserve itself by AOL in 1998, and their fossil remains were augmented, year after year, decade after decade, by die-hard users who continued to participate there. No more. AOL is now part of Oath, the Verizon megacompany composed of AOL, Yahoo, and sundry tailings and leavings from the floor of the internet. Verizon has informed its loyal users that their online homes will be bulldozed on December 15.